Slip through the urban traffic thanks to AYGO's compact design. It's just 3.4 metres long, so parking is easy. And with a tiny turning circle, you have all the agility you need for swift lane changes, u-turns and more. Bold wheel-at-each-corner gives AYGO surprising interior dimensions, with 164 litres of storage, and headroom for people over six feet tall. Available with three or five doors, there's plenty of space for friends and family. Don’t forget, we do more than just the deals you see above. 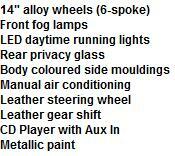 Here at Smart Lease we are confident we can offer the cheapest offers on most makes and models of vehicles. 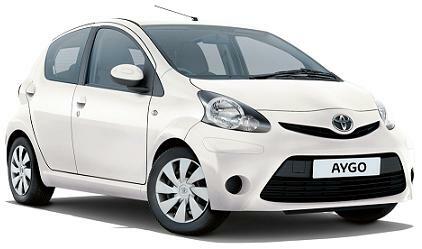 Toyota Aygo Fire car offers are based on Car Leasing, 10,000 miles pa, 3 Upfront followed by 47 or 35. Business contract hire deals + VAT / Personal car leasing prices include VAT. 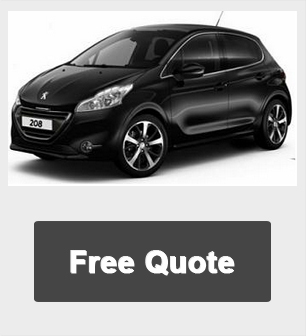 We will be happy to provide you with a cheap quotation based on an alternative finance plan, mileage or contract term for private and company car users.